Interviews can be terrifying when you’re not prepared. Even seasoned workers with an impressive resume and lengthy interview history know that if you do not impress your interviewers, you are not getting the job. No matter how confident of a person you are, job interviews are going to be a stressful experience. Your future career is in the hands of someone you have just met, and you have roughly one or two hours to show them they should dedicate thousands of dollars to your employment. That is why over the next four blog posts, we are going to go over several different anxiety reduction tips that are useful for job interviews. Anxiety reduction comes in all shapes and sizes. If you know of a way that helps you calm down, use it. If all you need to do is listen to music before your interview, go for it. However, for those that are looking for ways to reduce job interview anxiety, we will be discussing several ways that may help you stay calm during your interview. The first tip is a little cheap, but it may be the most valuable way for you to reduce your anxiety during your interview. The more you prepare for the job interview, the more you will be ready to answer the toughest questions and prepare the best responses. Imagine you are afraid of spiders and are forced to touch a tarantula over and over again. At first you will be terrified. Then, over time, it will become easier and easier. Keep doing it and it will be so easy you will be bored out of your mind wondering what would happen if you put the tarantula down your shirt. Practice makes things so easy they become boring, and when you are that prepared it is much harder to feel the anxiety of the interview. 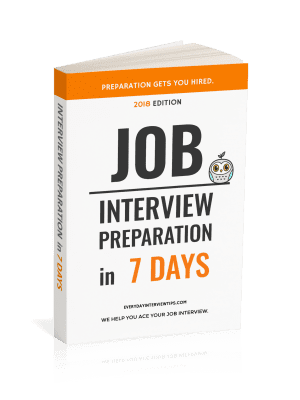 First you should find and create as many possible interview questions and answers in order to ensure that you are prepared to answer anything the employer throws at you. Write down the best answers to each question and practice them aloud over and over to make sure you are ready to recite the answer when asked. You should also prepare answers, even without a question. The more answers you have ready, the more easily you can answer a question you were not expecting. Another useful preparation and anxiety reduction tool is mock interviewing. 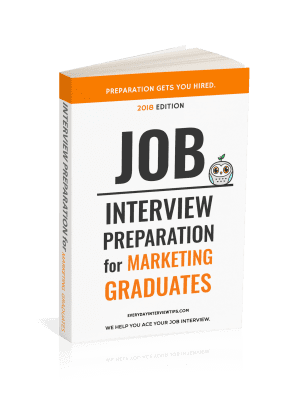 Mock interviews allow you to feel what the interview is like until you are used to the anxiety that comes from thinking up answers to interview questions. In the next few posts we will go over additional anxiety reduction tips that will be useful for your helping you feel comfortable during your interview. However, always note that the more you prepare for an interview, the more likely your interview is going to be successful.